The pristine beaches of Cape Town are top among the reasons people make their way to the city every year. With the spectacular backdrop of the Cape Fold Mountain range, the Mother City’s beaches are of the most scenic in the world. There are a lot of beaches to choose from since the Indian Ocean and Atlantic Ocean borders the coastal city. Here is a look at some of the best beaches you can visit during your stay in our beautiful city. If you’re looking for beautifully tanned, toned and ripped bodies, Clifton 4th and Camps Bay are the places to be. 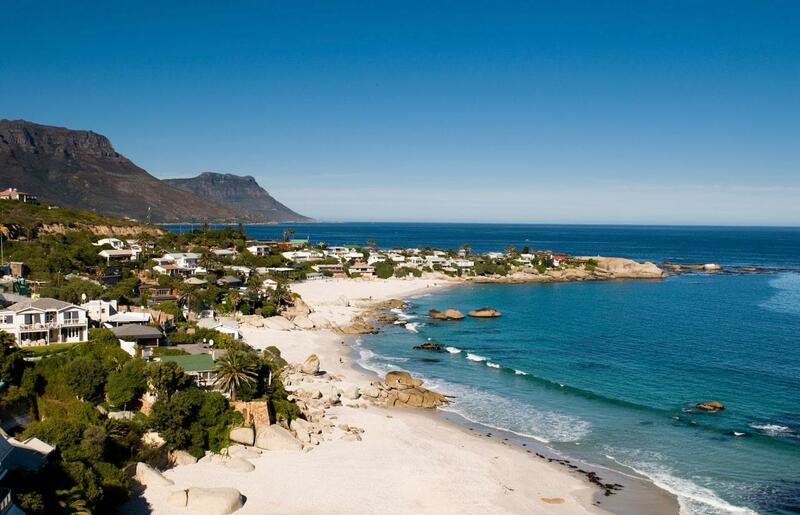 The white sand and crystal clear water of Clifton’s four beaches draws Cape Town’s beautiful crowd, especially 4th beach. Camps Bay is another popular stretch of sand, especially among tourists. Camps Bay is the largest white sand beach in Cape Town and is lined by a number of shops and eateries. 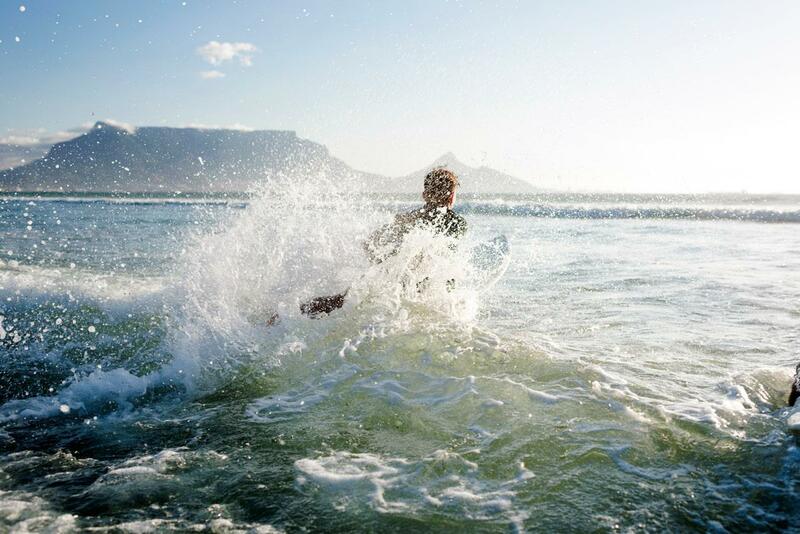 When it comes to surfing, Cape Town is in a unique position of offering breaks on both sides of the mountain. No matter which way the wind is blowing, there’s almost always a spot to surf. Some of the breaks can be tough, but if you’re looking for ‘friendlier’ waves, Muizenberg’s Surfer’s Corner is one of the most popular surf spots in Cape Town, with a number of surf schools and restaurants. If kite surfing is your thing, the West Coast beaches of Milnerton, Bloubergstrand and Melkbosstrand are hugely popular, especially when the mighty South Easter is pumping. Capetonians are quite an active crowd and are always keen for a game of beach volleyball, soccer, or touch rugby, or even just a game of beach bats. Camps Bay is undoubtedly the centre for beach activities in the city, with volleyball courts an almost permanent sight in summer. The size of the beach also lends itself to beach soccer and games of touch rugby, while fun tournaments are organised in summer. Clifton’s 2nd beach is another popular spot, especially among students, with a more relaxed atmosphere. The location of the city’s beaches so close to the CBD make them popular after-work hangouts among the locals. Clifton is a very popular spot, especially in summer when the sun only sets around 8pm. Sea Point beach is located on the Sea Point Promenade, making it one of the most accessible beaches in the city. Bloubergstrand and Table View, just north of the CBD, are also popular beaches. Hout Bay, Fish Hoek, Muizenberg and Llandudno are popular among holiday makers, with Llandudno the quieter one of the lot due to its more secluded location. On the West Coast, Bloubergstrand, Tableview, Big Bay, and Melkbosstrand are also popular, especially among South African holidaymakers. Beaches: Hout Bay, Fish Hoek, Muizenberg, Llandudno, Bloubergstrand, Big Bay, Melkbosstrand, Kommetjie. There are few things more relaxing than a long walk on the beach and Cape Town has numerous beaches that run as far as the eye can see along the ocean. Noordhoek, Muizenberg, Melkbosstrand, Tableview and Milnerton have long stretches of sand for extended strolls. Smaller beaches like Hout Bay, Fish Hoek and Camps Bay are also popular for an early morning or sunset walk. Beaches: Noordhoek, Muizenberg, Melkbosstrand, Bloubergstrand, Tableview, Fish Hoek, Camps Bay, Hout Bay. 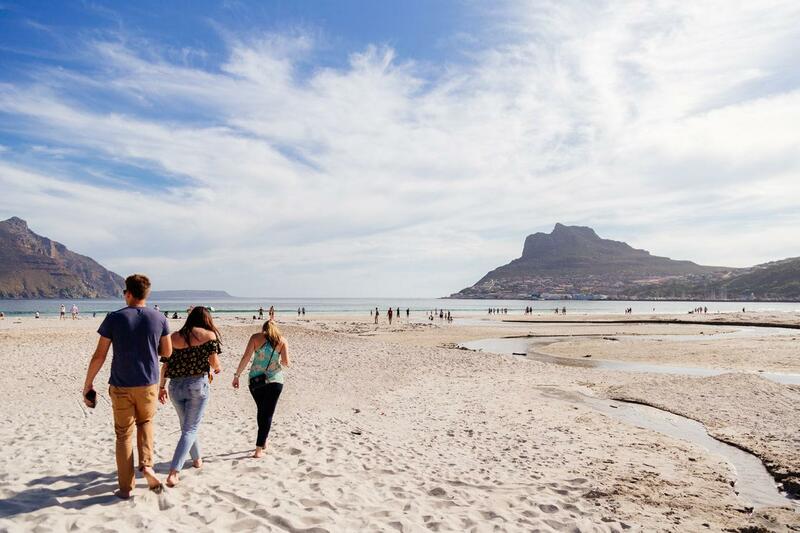 Summertime in Cape Town attracts the biggest crowds to its beaches. The hot weather, great beaches and cool water are the perfect ingredients for a day of soaking up the sun. But there are a handful of beaches, although not immune to crowds, that offer a little respite from the masses, with Llandudno, Scarborough, Kommetjie and Bakoven beach popular among locals. The beaches of Cape Town even offer something for animal lovers. 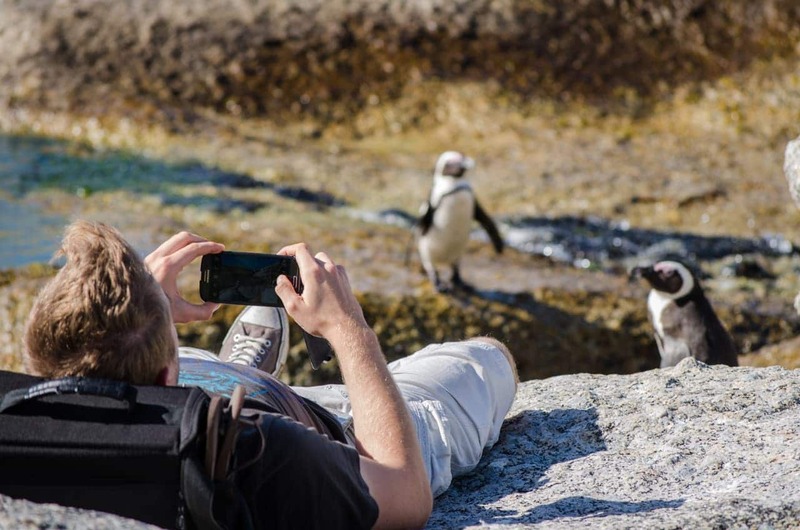 The famous Boulders Beach is the home of a large colony of African penguins and a popular tourist attraction. Between June and December, whales can be seen frolicking in the water off of the Cape Coast, especially in False Bay where they come to mate every year. While these big beauties of the sea can be seen from many beaches around the Peninsula, the Kalk Bay and St James beaches offer the best spots to see them play. Closer to the CBD, Cape Town’s famous dassies can often be seen foraging in the foliage around the more secluded beaches like Bakoven and Oudekraal at the back of Table Mountain. Cape Town is known for its jaw-dropping sunsets, especially from the beaches around the CBD and up the West Coast. Clifton, Camps Bay, Bloubergstrand, Tableview and Sea Point are great spots to see the spectacular sunsets. Blue Flag is a status given by the Blue Flag Organisation to beaches that adhere to a certain standard of safety, cleanliness, amenities and environmental standards. Ten beaches in the Cape Town have been awarded the Blue Flag for the December 2018 to January 2019 season. The beaches are: Silwerstroomstrand, Clifton 4th, Camps Bay, Llandudno, Mnandi Beach, Strandfontein Beach, Bikini, Muizenberg Beach, and Fish Hoek.